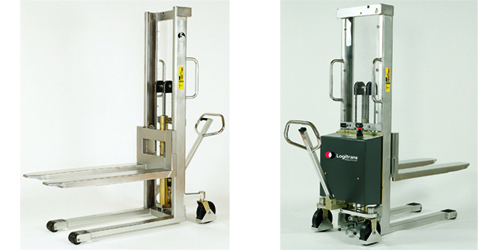 Choose between normal lifting speed or QuickLift to manually raise products to the desired height by pumping the stacker handle. Lift heights vary from 47" to 96". Electric stackers take all the effort of lifting product away from the operator by lifting pallets to a desired height at the push of a button. Lift heights range from 47" to 112".